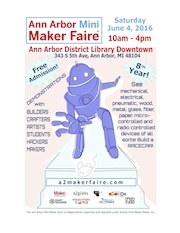 We’ve received some great financial support from the community to help make the fifth Ann Arbor Mini Maker Faire a success. We’d like to thank the following awesome organizations who are not just helping us promote the event but also lending some cash to make things happen. Our goal is to continue to make this event as accessible to the community as possible. A big part of that means making it free. Huge thank you to all of the organizations that help us make this happen. We are pleased to have support from across the area, from academic programs at the University of Michigan to entrepreneurs and education groups. 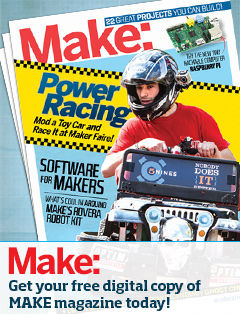 This entry was posted in Uncategorized and tagged faire, sponsors, thanks. Bookmark the permalink.